When The Keller Group isn’t busy with clients, or collaborating around our meeting table, the team is actively perusing books from our summer reading lists. Vladimir Nabokov, the famous poet wrote, “Knowing you have something good to read before bed is among the most pleasurable sensations.” This same feeling resonates on these warm summer nights with a fine book in hand. Whether you’re looking for a thought-provoking novel or historical fiction, there’s something below that will interest every book worm. Summary: Seven-year-old Elsa lives with her crazy seventy-seven year old grandmother. Elsa and her grandmother are best friends. The quirky girl takes comfort in the stories her grandmother tells her, where individuality is celebrated and nobody needs to be normal. 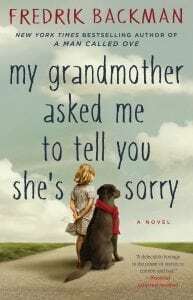 When Elsa’s grandmother passes away, she leaves a series of apology letters behind to people she has wronged. Elsa embarks on her greatest adventure to a bustling apartment building full of drunks, monsters, attack dogs, and other characters. On her journey she discovers the truth about fairy tales and her unforgettable grandmother. Summary: With over 2 million copies sold worldwide in over 30 languages, it is easy to see that The Power of Now is much more than a book with simple principles and platitudes. 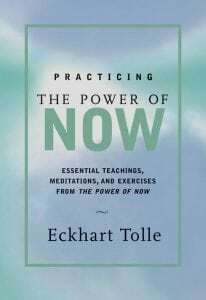 The book takes readers on a journey to find their true self and reach personal growth through “the discovery of truth and light.” Tolle’s message is simple, living in the now is the truest path to happiness and enlightenment. 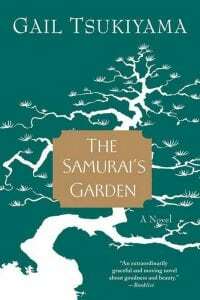 Summary: Set in the late 1930s during the Japanese invasion of China, a 20-year-old Chinese painter named Stephen is sent to his family’s home along the Japanese coast to recover from his battle with tuberculosis. While there, Stephen is cared for by Matsu, an introverted housekeeper and master gardener. During Stephen’s year in the coastal village he learns Matsu’s secret, gains strength and spiritual insight. 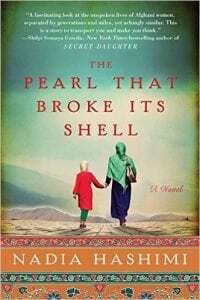 Summary: Rahima lives in Kabul, the capital of Afghanistan, with a drug-addicted father, no brothers and her sisters. The young women can only attend school sporadically and can rarely leave the house. Their only hope lies in the ancient custom, bacha posh, which allows Rahima to dress and be treated as boy until she is of marrying age. A century earlier, her great-great grandmother, Shekiba, left orphaned by an epidemic, also adopted this unusual tradition. Crisscrossing in time, the tales of both women who share similar destinies centuries apart are told. Summary: The twists and triumphs of the Irish-American story is told through the life of a charming young orator, Thomas Francis Meagher. During the Great Famine of the 1840s, Thomas lost a million of his Irish countrymen. After leading a failed uprising against British rule, Thomas is banished to a Tasmanian prison colony. 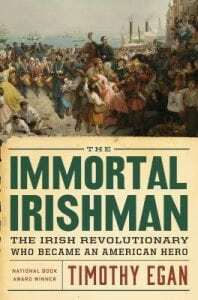 He escapes and six months later is in New York City being praised as a revolutionary hero, back from the dead at the beginning of the great Irish immigration to America. Summary: Marie-Laure lives in Paris with her father near the Museum of Natural History, where he works as the master of locks. At the age of six, Marie-Laure goes blind and her father builds a miniature display of their neighborhood so she can memorize the streets by touch and navigate herself home. 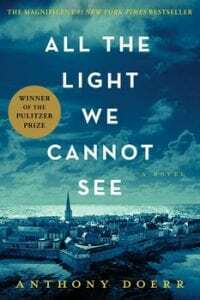 After the Nazis occupy Paris, father and daughter flee to the fortified city of Saint-Malo, where Marie-Laure’s reclusive great-uncle lives by the sea. With them they carry the museum’s most valuable and dangerous jewel. In Germany, the orphan Werner and his younger sister grow up enchanted by a radio they find. He becomes an expert at fixing and building, skills that land him a place at an academy for Hitler Youth. Werner travels through the heart of the war and finally to Saint-Malo where his story and Marie-Laure’s intersect. Summary: Violet Parry lives with her rock-and-roll manager husband, David, and their toddler, Dot, in the Hollywood Hills. On paper she has the perfect life, but she’s deeply unhappy. She is bored with what her life has become. David is always busy closing deals and traveling, so when Violet meets Teddy, a small time musician who takes interest in her, she suddenly feels her old spark again. Also in the picture is Sally, David’s sister who is committed to land the perfect husband. When Sally’s eyes land on Jeremy, the ESPN sportscaster, she sets her plan in motion. Both women throw caution to the wind and soon discover David and Jeremy have a few surprises of their own. Summary: In effort to keep the number of Northern Cheyenne Indians from shrinking and to naturally blend two cultures together, the U.S. government creates the “Brides for Indians” program in which women who are physically healthy and of child rearing age may volunteer to go. However, given the controversy and covert nature of the program, they offer the trip only to women in prison, asylums, and other restrictive situations. 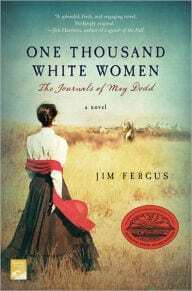 In Chicago, May Dodd was born into a wealthy family but fell in love with a man in a lower class, and bore two children out of wedlock, so her family had her institutionalized and had her children taken away. Dodd joins the “Brides for Indians” program and it becomes her pathway to freedom and a life of adventure. 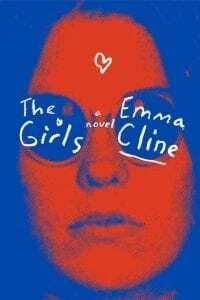 Summary: During the end of the 1960s in Northern California, Evie Boyd, a lonely and thoughtful teenager becomes enthralled with a group of girls she sees at the park. 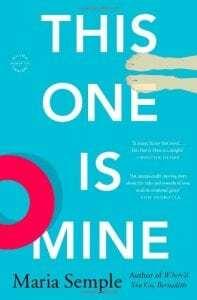 Evie quickly becomes mesmerized by Suzanne, a free spirited older girl, and is drawn into the soon-to-be infamous cult and their charismatic leader. The more time Evie spends tucked away in the hills at the run down ranch, the more her desire to be accepted and her obsession with Suzanne intensifies. Unbeknownst to Evie, unthinkable violence is closer than she ever imagined. Summary: After many failed attempts to keep a man because of the way she dresses, Leandra Medine began writing the blog The Man Repeller. Her book is a recollection of her past relationships as it relates to fashion in the millennium. Full of witty commentary, stories and cringe-worthy anecdotes, Medine details her awkward fashion decisions with a healthy dose of humor. The unfortunate reality is that on top of work, family and fun in the sun there just isn’t enough time to read everything this summer. Be reminded of summer all season long with some of our team’s favorite reads.